Taggart & Taggart, Ltd. is a prominent law firm emphasizing water law and water right management in the state of Nevada. Our practice includes water resource development, wetlands preservation, related municipal water issues, environmental regulation, water resources and wastewater planning. Clients include regional water providers, municipalities, ranchers, and others requiring water rights consulting and legal advice. At Taggart & Taggart, Ltd., our attorneys and staff strive to provide their clients with the highest quality of legal advice. 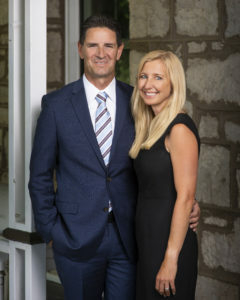 Taggart & Taggart, Ltd.’s attorneys and staff are passionate, hard-working individuals whose ultimate goal is to give their clients sound judgment in water and natural resource matters. They assist and advise clients with the management of water resources and in the development of solutions to water supply issues. Our attorneys work hard to build relationships with their clients built on trust, hard work, excellent service, knowledge, sustainability, and innovation.